Days of Our Lives Spoilers Cast News: Wally Kurth Returns As Justin Kiriakis – Supports Sonny During Break-Up With Will? 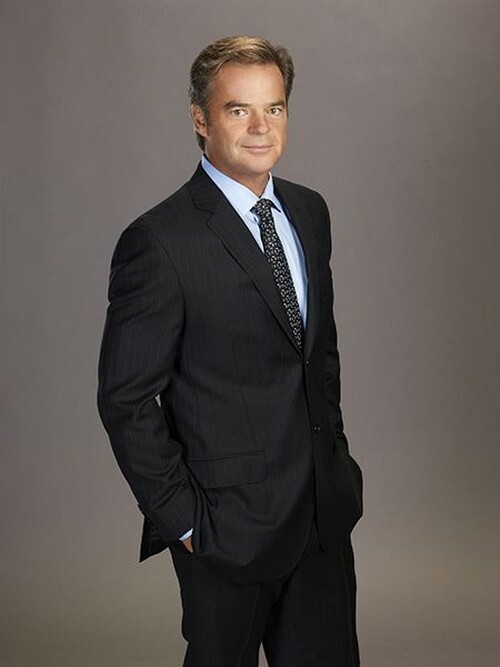 Days of Our Lives spoilers and coming and goings news confirm that soap actor Wally Kurth (who also appears on General Hospital) will be returning to the NBC soap in January as Justin Kiriakis. Justin is the father of Will Horton’s husband, Sonny Kiriakis, and although he was a once prominent character – he has been put on the backburner over the last few years. The last time Justin Kiriakis was spotted in Salem was in April 2014 when he attended Sonny and Will’s wedding to support his son. Days of Our Lives spoilers regarding Wally’s return to Salem are pretty sparse; however, rumor has it a huge storyline is coming up for Will and Sonny. DOOL spoilers have confirmed that Will is set to return from California and he and his husband are both keeping some major secrets from each other and their marriage is in serious trouble. Days of Our Lives has revealed that Salem newbie Paul Norita (Christopher Sean) is gay and as Sonny’s ex-boyfriend is tangled up in Sonny and Will’s relationship. Although TPTB haven’t released any details surrounding Wally Kurth’s return to Days of Our Lives, it is safe to assume that he is ushered back into Salem to help Sonny. In recent interviews, it has already been revealed that Will’s father, Bryan Dattilo, will also be involved in Will and Sonny’s marriage woes. So, whatever goes down between Sonny and Will must be huge if their fathers Lucas and Justin have to get involved. Justin Kiriakis is actually a lawyer – so perhaps he returns to handle Sonny and Will’s divorce? What do you think, Days of Our Lives fans? What exactly do you think goes down between Will and Sonny? Is this the end of their relationship? Why does Justin Kiriakis have to return to Salem? Let us know what you think in the comments below and don’t forget to check CDL tomorrow for more Days of Our Lives spoilers and news.